Have you ever thought of recording your success in a game that was recently released and sharing it with your friends as evidence. Or have you ever desired to save a running video that you were streaming in Youtube or any other website to your smartphone. Now with the help of following three Android apps, these tasks are absolutely possible in your handset. With the following three apps you are able to record the video along with clear audio. These apps utilize your handset’s microphone for recording the audio, that’s the reason for clear audio. Also another highlight being, no special permissions are needed for the apps to operate except the thing that OS should be Lollipop or higher version. Now let us have a look on these apps and the method of their working. Rec. is a 2.79 MB sized application and it appears to be superior to other two apps. The app is designed in such a way with a pleasing Red coloured panel and Material Design guidelines. When opened, a main screen appears where you can find almost all options with the help of which you can continue with the recording of your screen. The options includes a few like managing the resolution of the video, bitrate at which the video to be played, duration upto which the app is supposed to record the video, a checkbox whether to record the audio or not and finally a textbox to set a name for the video and save it as .mp4 file.Basically the app comes with ads pop-up and if you want to get rid of this annoying apps then you have to pay a sum of ₹196. This payment also unlocks certain extra features on the app. These extra features include shake-to-stop recording. This payment also eliminated the initial delay in recording videos for 10 secs. Before payment you may have to encounter an ad before stop recording the video. But by making the payment you are conveniently allowed to stop recording a video by going into notifications panel. Provides a user friendly user interface. Allows you to set the duration for which the video to be recorded. User is allowed to customize video resolution and video bit-rate. Annoying ads if you are not ready to pay. 10 sec delay for unpaid version. Purchase of app cost you ₹196. AZ Screen Recorder is loaded with maximumnumber of features when compared to other applications and has a size of 2.31MB. 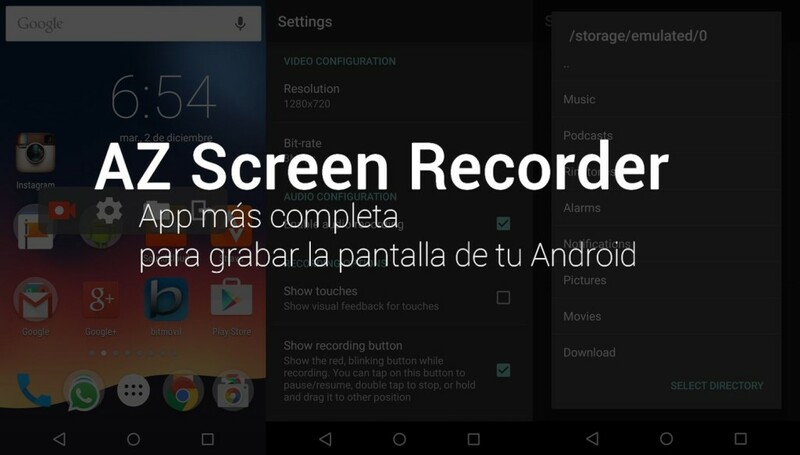 The moment you get into this application, you will be welcomed with a pop-up asking you, whether you would like to start recording your screen now itself or not. The Settings of the app contains a variety of features. It allows you to set the orientation of your video, set a resolution from the given options rather than entering a particular measure. Additionally this app allows you to select the bit rate and frame rate of your choice for the video.Apart from the above it also allows you to have time lapse recording with text and logo embedded and grants to set a countdown also. This app is also loaded with alternative choices for the user to stop recording the video, allows you to select the method of encoding the video, magic invisible button to start, stop and pause the video. Here also you may be annoyed to hear that these additional features are allowed in the app only if you are ready to pay a sum of ₹196. Allows you to integrate camera output, texts and logos. Set countdown before video starts. Editing options after recording and saving. This 3.73 MB sized app is loaded with no extra add-on features other than certain basic features. The app has an inbuilt Material Design on its own limited way. The app is embedded with single panel view with an ad to the below part of the screen. The three-dot option that appears on the panel of the app lists down options like Help and Credits. The only customer choice options available are either to use or not to use microphone, type of view orientation of either portrait or landscape and to select any of the three available preset resolution mode.After you are done with setting parameters, now you can tap on Record Button, which you will find at the top right corner of your screen. This will trigger the recording without any delay. When you are done with the recording, just drag down the notification panel and close the application. This will end with recording and you will be directed back to the app again. The recordings that are carried out will be displayed there in card format. Loaded with simple user interface features. Simple to load and use. Available at free of cost. Ads may pop-up and unable to remove it completely. It is always unable to say that which app will be suitable for you. Of course a perfect application must be flawless and should not have any complications. In addition those apps must be user friendly. All the three above mentioned applications are best in their own way. 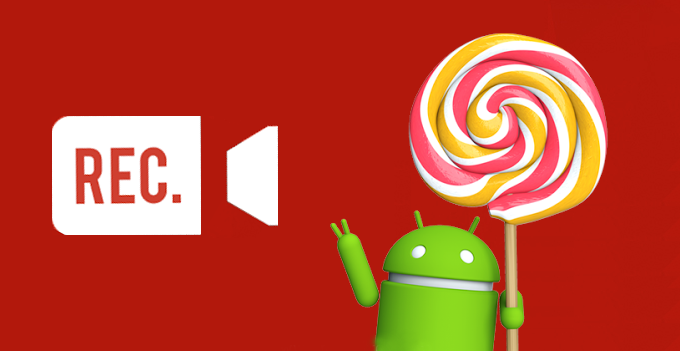 Some may think that AZ Screen Recorder is superior while some others may feel Lollipop Screen Recorder is superior. Superiority may be decided by customers who use the app. 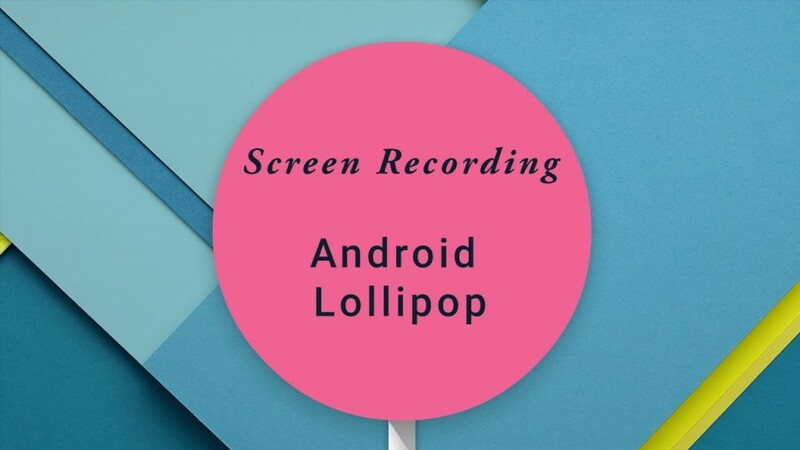 Till that time, all the three apps remains equally preferred by Android users who would like to record their running screen along with clarity sound.